… and never really liked that much. 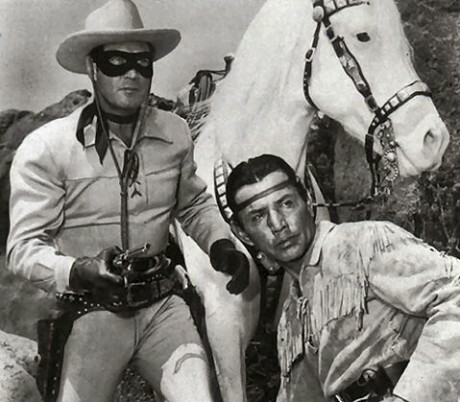 5 users commented in " Movie Review… sorta: The Lone Ranger "
Nah, I’ve done it before. Well, I saw this movie over the weekend and didn’t completely hate it. It had some funny, charming moments and some great action sequences. The acting was pretty awful and too much of the dialog inane, but it did have some redeeming moments. I’d give it maybe 2.5 dead crows out of 4. I might be too hard on the movie due to having higher expectations than, for example, “Pacific Rim” which I was somewhat surprised to have enjoyed. I suppose if I remove all my expectations of what I expect from a major Hollywood blockbuster from one of Hollywood’s most successful producer/director teams, with two high-profile stars and a budget rumored to be pushing $200,000,000, then maybe I would have enjoyed it more. As it was there were some decent moments in the movie, but they were few and far between. The action scenes were beautifully choreographed and immaculately filmed, but in most cases felt completely gratuitous and implausible. For example, in one scene where Tonto is getting shot at, right after the William Tell Overture began, the bullets hitting the train window were precisely timed to match the music. That’s impressive technically, but it’s pure camp. I suppose that’s the main problem I had with this movie, it simply did not know when to be campy, when to be serious and when to be farce. It tried to do all three at once and the result was a mishmash of style that left me wondering if the director was actually involved in the final editing.